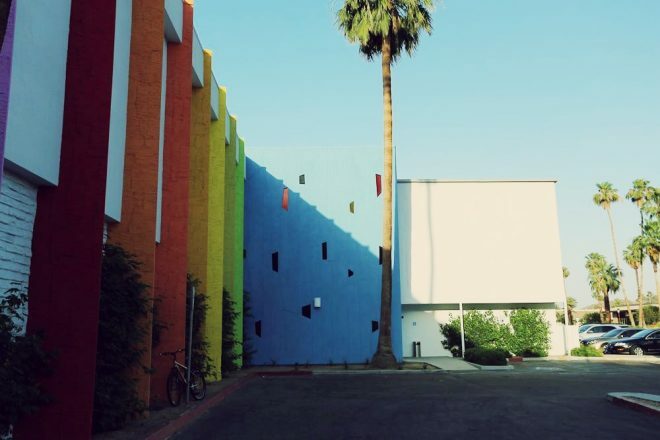 Confession: I didn’t stay at the The Saguaro during my recent trip to the desert, I did find myself drawn to the hotel’s bold paint choices and craving a margarita from El Jefe, the Mexican City-inspired taco bar & tequila lounge. The Saguaro was developed by the same team that handled the nearby hipster hangout The Ace Palm Springs, and really shows off a bold re-design of a property that was a Holiday Inn in it’s former life. I have to admit, when I first laid eyes on The Saguaro last year, I found the color choices garish and distracting. 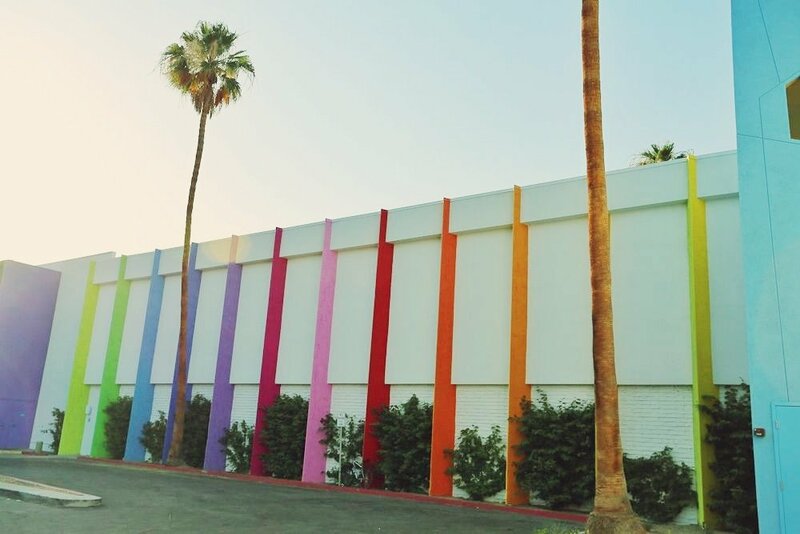 But this time, I found the Rainbow Brite paint job someone alluring (and it doubles as a much needed landmark in the often bland landscape of neutral desert developments). 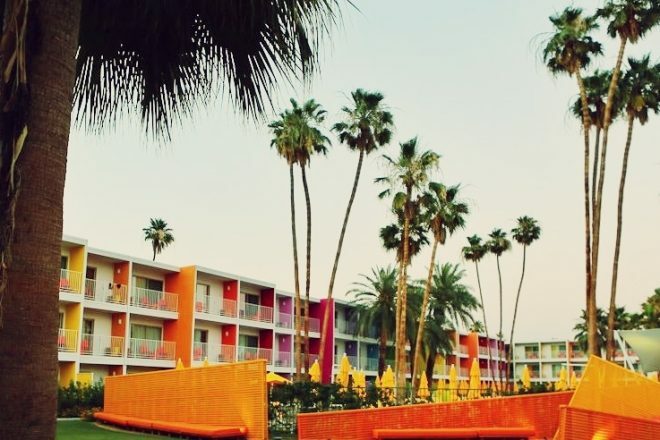 Room rates at The Saguaro start at about $135 mid-week. The property is also pet-friendly. 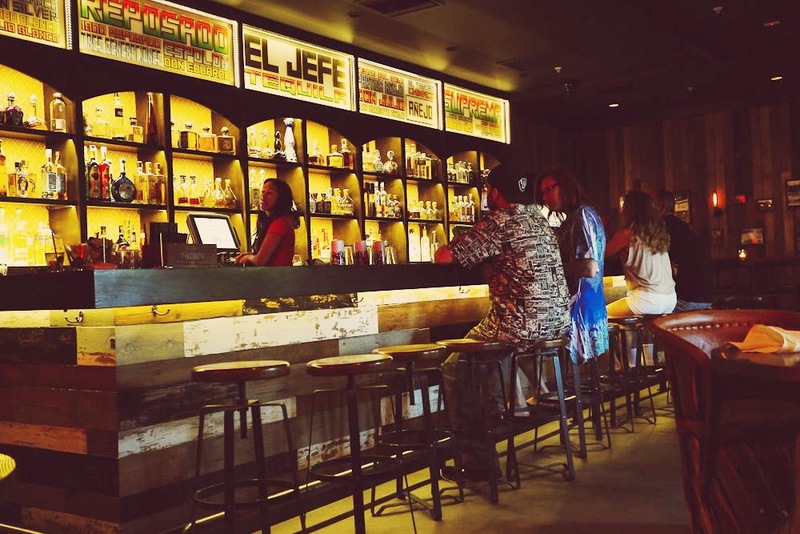 Inside El Jefe. The margarita are excellent and the the tacos delicious. El Jefe, helmed by Iron Chef alum Jose Garcia has a menu which ranges from the basic (carne asada tacos) to the bold (goat tacos anyone?) as well as some tasty small plates. For some reason I find the desert climate a perfect match for Mexican cuisine. I make it a point to come by for a drink and a taco (and some really rocking tunes) whenever I’m in the neighborhood during opening hours. This trip I heard people raving about breakfast at El Jefe and now I’ve added it to my desert “to-do” list. 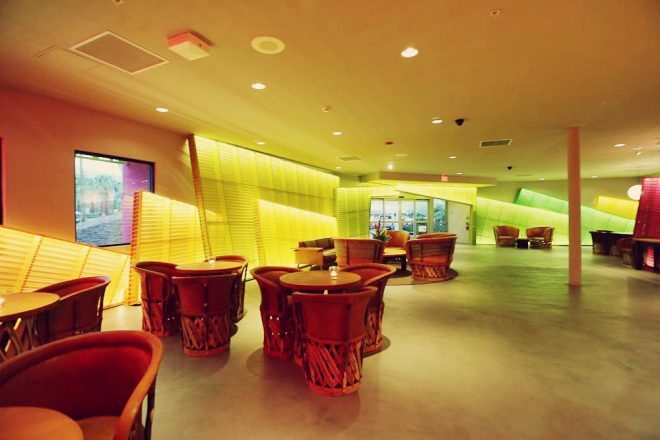 The rainbow color palette continues into the hotel’s lobby. 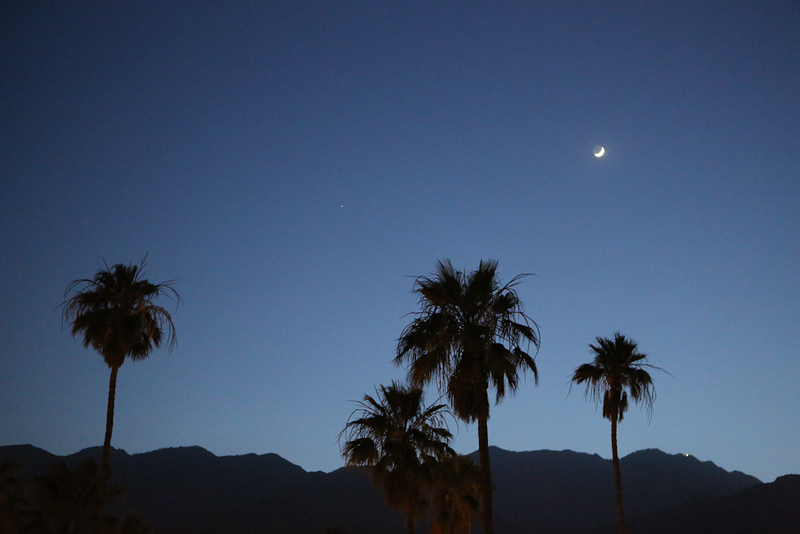 Palm Springs is most beautiful at dusk.